Individuals who require specialized footwear may be pleased to know that there are more fashionable diabetic shoes available today than ever before. It may take a bit of legwork to actually find styles that suit you best - and meet your important medical needs - but they are out there! There are nice, work-appropriate shoes made from soft leather available for diabetics who need shoes created with a little extra care. The men's SAS About Time shoe from Zappos is available in cordovan (a deep, reddish brown), black, or mulch (lighter, reddish brown) for just under $200.00. They have laces for an adjustable fit, breathable linings, an antimicrobial footbed to keep your feet cool and dry, a soft leather upper, and a design that's meant to keep pain at bay on the ball of the foot and heel. 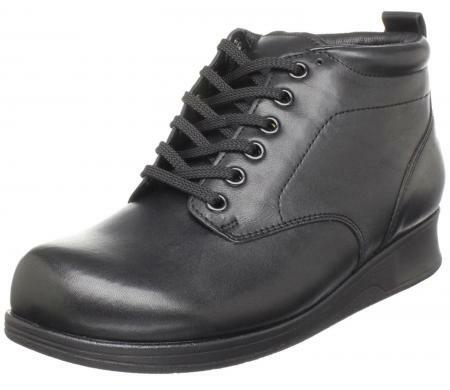 The women's Chelsea from Orthofeet costs a little over $120.00 at Shoebuy and will look great with most work outfits. They're a slip-on loafer-style and available in black croc leather, black leather, and brown leather. Understated hook and loop straps (they come with one on the shoe plus a longer one for those with high insteps) make it easy to get the shoe on and off and allow for a little swelling. These shoes offer orthotic support, extra depth, cushioning, plenty of room, foam padding inside, and a soft leather upper. The Berries Mary Janes from Aetrex work well for most work environments, and pair a stylish full-grain upper with a comfortable design that offers four-way stretch fit. 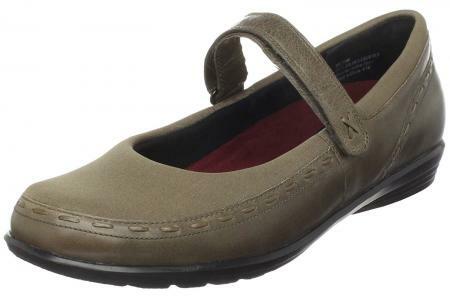 Available for about $115.00, these Mary Jane style shoes feature cute stitched accents, a memory foam insole, and an easily adjustable hook and loop closure. Your workout shoes don't have to be (or look) clunky. You can get the extra depth, roominess, and support without skimping on style. The Orthofeet Verve sneaker for women, available at Healthy Feet Store for around $120.00, is a white and silver shoe accented with your choice of pink or blue. They look sporty, not clunky, and feature tie-less laces. Each side of the shoe has straps for adjustability and a secure, comfortable fit. There's also arch support and a deep heel cup, with an insole you can take out so your custom orthotics, arch support inserts, or diabetic insoles can go in. The Men's Sprint from Orthofeet.com (around $120.00) combines a tie-less lace, heel strap, room in the toebox, and protection for pressure points to create an adjustable fit. Inside, there's an orthotic insole with arch support, a deep heel seat, and shock-absorption. These don't look much different from other sneakers on the market. They're stylish but offer benefits diabetics look for in a shoe. 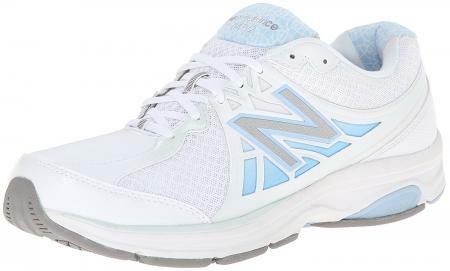 The New Balance 847 Women's Shoes are available with cute contrast color panels as well as a range of comfort and health features, including stability control, exclusive ABZORB cushioning, and Ortholite filling throughout the collar of the shoe. They are available in four color selections and have a sturdy rubber outsole. You can purchase these for about $125. Open-toe shoes and flip-flops aren't normally recommended for diabetics, but your feet can still be cool and comfortable during the warmer months of the year. The SAS Roamer, available at Zappos for just under $175.00, comes in such a range of colors, you'll want them all: Chestnut, Black, Denim, Charcoal, Linen, Lipstick, Navy, Sage, and Santolina (a satin taupe shade). The cutouts along the upper will help keep your feet cool and make the shoes look right at home with a summer wardrobe whether you're wearing pants, shorts, or a skirt. They offer arch support, breathability, an antimicrobial footbed to keep your feet dry and cool, shock absorption, leather upper and lining, and a padded collar. The Apex A2300 Sydney is a women's boat shoe style, available at Healthy Feet Store for under $150.00. Other than flip-flops and sandals, what other shoe says summer like this style? Choose from camel and bone, which will match almost anything. These have an especially roomy toe box, room for orthotics, a soft and breathable design, and a slip-resistant outsole. The Paloma Shoes from Algeria by PG Lite are not only cute and cool with their open Mary Jane styling, but they come in a wider range of colorful prints and bold accents perfect for summer fun. They are designed to offer comfort and contour the foot perfectly, have a slip-resistant outsole, and feature a customized fit thanks to their easy closure. If you have orthotics, you can easily remove the insole. They come in medium and wide widths for about $120.00. Your winter shoe collection won't be too limited, either. Choose from a variety of boot styles that keep your feet comfortable and dry when it's cold outside. The rugged Dunham Cloud for men (Zappos, about $150.00) is a stylish boot that will be great for casual days in the winter, hiking trips, camping, and a variety of other outdoor activities. Choose from Grey, Brown, and Slate Black. This design offers a leather upper with toe guard, padding, waterproofing, arch support, padding at the tongue and collar, breathable lining, Memory Foam footbed, a rubber outsole built for superior grip, and more. The casual women's Sedona boots from DrewShoe.com are designed to be durable, but also soft and comfortable. They're leather and have three-layered insoles for ultimate comfort and support. The design gives you ankle support and keeps feet dry and odor-free. They are deeper than your standard boot of a similar style, and they have a flared outsole for stability, rocker bottom, and extended medial heel stabilizer. Expect to spend just over $215.00 on these. The Florence from Orthofeet.com (around $100.00) will look right at home with all your cozy winter clothes. They're available in camel suede and designed for absolute comfort and relief for pressure points, with an orthotic insole, arch support, deep heel-seat, extra depth, foam padding, and a lightweight sole. Adjustable straps make it easier to get the boots on and off. Dressing up can feel stressful if you've got special concerns when it comes to your footwear (and even if you don't!). Styles like these make things easier. Dress the Magnolia Mary Jane style shoe from DrewShoe.com up or down. They're available in black, brown, and navy for around $150.00. Though laces are usually recommended for adjustability, these have a Velcro strap closure that will also allow you to tighten or loosen the shoes as the day goes on, and keep the foot securely in place. In addition, these have two removable insoles for depth and fit adjustments. They offer polyurethane rocker bottoms, padded collars, leather uppers, slip resistant soles, and extended medial heel stabilizers. The Journey II from DrewShoe.com is a dressy option for men, especially those who have trouble with laces but need a secure, comfortable fit. These have a Velcro closure as well. They only come in black, and they're available for about $175.00. These shoes are deeper than average to allow for orthotics, and they have a stretch upper, firm heel, rocker bottom, and padded tongue and upper. 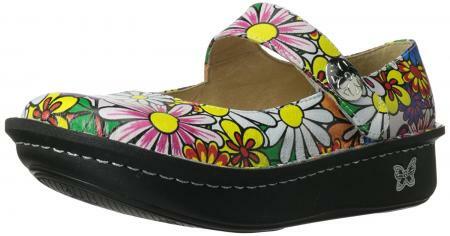 The Drew Summer shoe for women from Healthy Feet Store breaks the typical diabetic shoe by having a bit of a heel. They're just over $150.00 and available in black, navy, or pewter leather. To dress them up a little more, there's a buckle on the strap. In addition to the aesthetics, you get arch support, comfort, extra depth for orthotics, and a rubber outsole for traction. Diabetes can cause a number of foot problems due to the condition's effect on blood circulation. According to the Cleveland Clinic, some of the many complications that may arise include neuropathy (a loss of sensation caused by nerve damage), peripheral vascular disease, the development of calluses and ulcers, extreme dryness, and weakened circulation. Diabetics may also experience swelling in the feet and legs, especially when paired with other health issues commonly seen in diabetics, such as heart disease and kidney disease. Other foot concerns for diabetics, such as: athlete's foot, calluses, corns, bunions, hammertoes, fungal infections, blisters, dry skin that cracks, ingrown nails, and plantar warts. Most importantly, the shoe should fit properly. Often, it's necessary to be fitted at a specialty shoe store prior to actually purchasing a pair of diabetic shoes. Do it at the end of the day, when your feet are likely to be their most swollen, and try the shoes on with the socks you plan to wear with them. This will save time in the long run by preventing unnecessary returns. Though the ill effects linked to diabetes are troublesome, they can often be alleviated through a series of lifestyle changes. For example, poor circulation can be treated through regular exercise, which helps stimulate the flow of blood through the body. For any type of physical activity, proper footwear is essential, but it is even more so for individuals with diabetes. The key to choosing the right diabetic footwear is to seek out styles that are not only the right size, but are comfortable and sturdy. They should allow the feet to breathe, prevent slips and wick away moisture. Open-toe styles generally aren't recommended for diabetics, but there are plenty of fashionable choices that will protect your feet. Suffering from diabetes does not automatically mean that a patient must sacrifice her good sense of style, however. There are plenty of diabetic shoes out there that would make the average style-conscious woman cringe; their simple shapes, neutral colors and lack of aesthetics and heels certainly don't convey a fashionable spirit. The good news is that more and more companies are recognizing that many diabetics desire shoes that are as stylish as they are functional. While a hard-working shoe is absolutely essential for a diabetic, a bit of moxie would not go amiss. Fortunately, plenty of diabetic shoes today meet both demands equally, offering good looks to match their strong features. 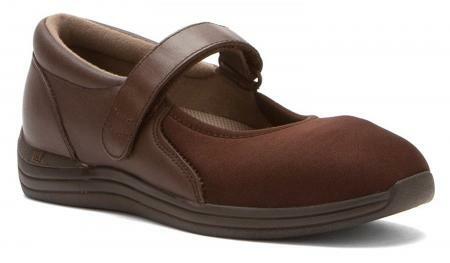 Aetrex: This brand is recognized for its wide range of diabetic shoes. Established in 1946 and dedicated to meeting the needs of men and women with stylish and comfortable shoes to support a healthy lifestyle, the brand offers everything from cute wedges to attractive men's casual shoes. New Balance: A leader in athletic footwear, New Balance offers a number of shoes perfect for diabetes in its Health Walking Collection. These feature special footwear designed with things such as increased stability, excellent cushioning, and sturdy rubber outsoles. There are plenty of styles available, including those with laces and with Velcro. Not only are they ideal for keeping the feet comfortable and healthy, they're also great for individuals with very wide feet and for arch support. Algeria by PG Lite: The Algeria line from this brand is designed for comfort and style, with footwear contoured to fit your natural foot without pain. The soles are infused with memory foam, soft polyurethane, and cork, and they are designed in a slight rocker style designed to put less stress on the entire body as well as the feet. They offer an extensive range of stylish prints and solid colors for men and women. SAS: Well-known for producing quality footwear that is both comfortable and attractive, SAS shoes offer a variety of styles for men and women that range from work-appropriate styles to fun casual designs perfect for weekend wear. Orthofeet: Created for special medical needs and with comfort in mind, Orthofeet shoes offer functions like a special cushioning system, non-binding design, and seam-free interior. From casual and cute athletic shoes to office-ready flats, they offer a range of styles. They also offer special widths including narrow and extra-extra wide to help you get the perfect it. In addition to these brands, there are also a variety of of other brands designed to keep your feet healthy and comfortable. You can find these at specialty stores and everyday footwear retailers. Diabetic footwear no longer means you're stuck in unstylish footwear that broadcasts your need for shoes with special details. You can find shoes that work well for diabetics in almost any style, from loafers to dress shoes with heels, hiking boots to boat shoes. There's no need to trade style for comfort and function.